Taking care of problems with the alignment of your teeth can result in significant changes to the way you look. You can find yourself smiling with more confidence, and feeling better about your overall appearance, after straightening teeth that are crowded, or spaced too far apart. Your Santa Monica, CA dentist can actually help you deal with these orthodontic problems discreetly, thanks to clear aligners. 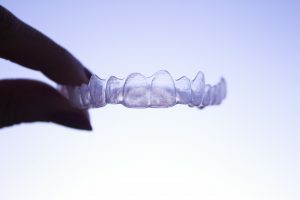 Unlike traditional braces, clear aligners are hard to see, and they are easy for you to remove. This is one of many effective methods for improving your appearance that your dentist can offer to patients. Poor dental alignment can cause several conspicuous problems with the way you look. You can be bothered by an observable gap between your teeth, or by the way overlapping teeth look jagged or uneven. Straightening your smile can make your teeth appear healthier, and you can enjoy a symmetry to your appearance that has a noticeably positive effect on the way you look. After straightening your teeth, you may realize that you have additional improvements you would like to make. As significant a change as orthodontic work can offer, it is possible to add to your improvements with additional work. One thing you may consider is undergoing a whitening treatment. This cosmetic dental procedure can brighten your teeth to a significant degree. By following your adjustment with this procedure, you can give yourself a smile transformation you are eager to show off to everyone! Improving your smile through cosmetic work can lead to you feeling more confident, and encourage you to take more pride in your smile. While preventive dental care is always something worth your time and attention, you can be more committed than ever to your oral health when you feel better about the look of your teeth. In addition to helping you improve how you look, your dentist can help you maintain their health! In addition to offering support to keep your teeth free from problems, our practice can use advanced laser treatments to help you manage the health of your gums, too. Santa Monica Dental Arts is ready to help people make amazing smile changes with clear aligners! Unlike traditional braces that consist of brackets and wires, clear braces deliver results with discreet, removable appliances. Dr. Koshki can offer this, and many other cosmetic procedures, that can help you improve your appearance. If you wish to schedule a consultation with Dr. Moeiz Koshki, call Santa Monica Dental Arts in Santa Monica, CA today at 310-395-1261.